I don’t even know what my career path is. It just feels like a maze. A lot of wrong turns and dead ends and starting over. I have worn many hats in my dynamic career. No logical progression. But I believe that every hat I have worn has taught me valuable lessons towards a much bigger picture. I am currently a copywriter and this career chose me. Didn’t have a clue what copywriting was until I applied for a job at Corporate24 Branding. Plaxedes Wenyika called me and interviewed me over the phone. That’s how I became a copywriter. I left Corporate24 Branding and went back to Bulawayo and came back to Harare only to become a copywriter again but at The Jupiter Drawing Room Harare this time around. I grew up watching Generations, the real Generations with Archie and Ntsiki. The main occupation there was advertising. The Moroka’s owned New Horizons, which was now Ezweni the last time I watched Generations. Now that I have been in advertising, I realise that they sold me dreams. They glamourised that stuff beyond astronomic proportions. Built my dreams around a lie. Advertising needs you to have a strong gall bladder. Clients and their changes/amends will humble you thoroughly. It’s a lot of pressure. I’m addicted to the adrenaline rush and the feeling of accomplishment when I see our adverts on broadcast. It never gets boring or redundant. Each new day brings a new brief with its own fresh hell. I still love it. Talk about a woman who loves tough. My short concentration span has always loved adverts. It’s the only thing I can watch to the end in one sitting. I love watching clever adverts. Trying to decipher what they did there and decoding the subliminal messages. ‘AdsOfTheWorld’ is like a bank of some really cool adverts from around the world. Back in the day we used to have clever adverts as well. We werenn’t always this backward. The dream is to start my own thing someday. Focus on making television commercials and influencer marketing. Really push the boundaries with the adverts. It will be very interesting to see what we come up with. But for now, I’ll continue developing TV commercial scripts that are safe for the conservative Christian country we live in. 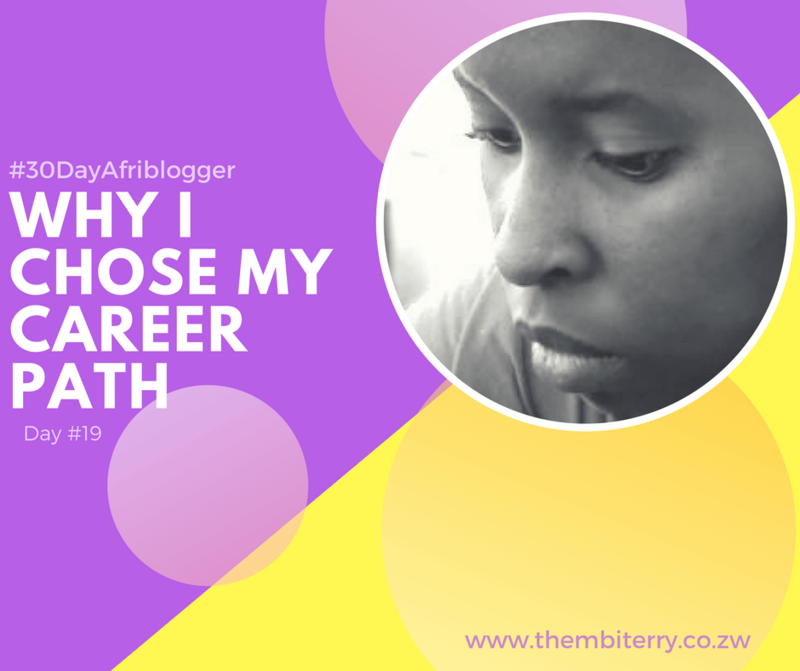 What’s your career path and why did you choose it?